Indian Army brigade situated in Uri, Indian occupied Kashmir. In the continuing year’s first ten weeks; up till now, 18 Kashmiris have been martyred in the hands of the Indian soldiers indifferent. Without any solid evidence just on the basis of suspicion 200 persons were taken into custody. 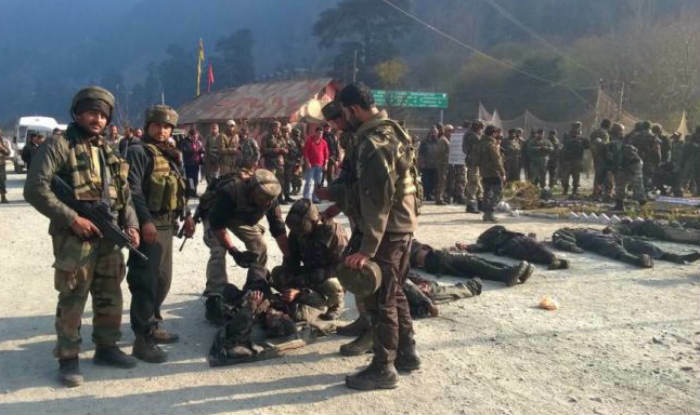 Indians had suspicion that they were involved in the attacks over Indian Army’s Head Quarters on 11 February 2018, this attack continued for 30 hours in which 5 Indian soldiers were killed. Indian media claimed that number of deaths was higher while Indian Defense Ministry said that number of deaths was 5. 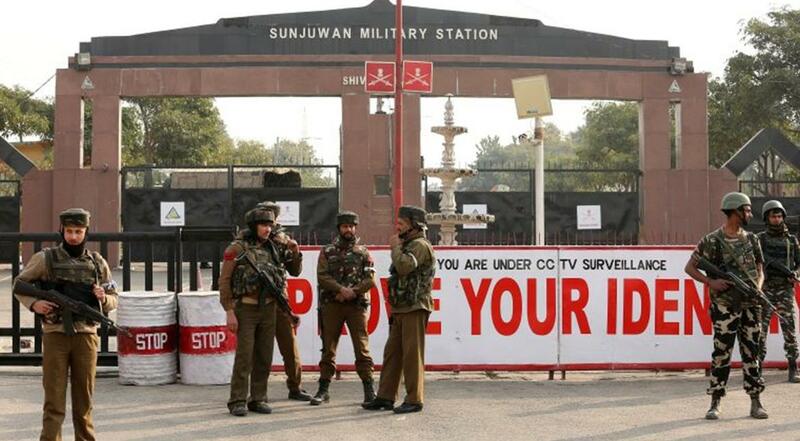 Many questions were raised on the entry of 4 militants and facing Indian army for 30 hours. First question is about the professional capability and poor security of Garrison; Indian Defense Minister and Indian Army Chief answered these questions by threatening Pakistan. Indian army Chief said that revenge will be taken from Pakistan on some proper time. Indian media is not satisfied over it. Indian army which has no experience except firing bullets on unarmed protesters, kidnapping and torturing them in torture cells, molesting women in the name of search warrants etc. they have no experience of face to face war. That is why when Kashmiri Freedom Fighters in a reaction of Indian atrocities committed against the innocent Kashmiris attack Indian Military Camps; in confusion Indians start shooting recklessly killing their own soldiers. This has been proved by the forensic reports of bullets recovered from the dead bodies of Indian soldiers that majority of Indian soldiers were killed in friendly fire. After leakage of the said report, Indian army claimed that millitants had gthe Indian soldiers that they snatched from Indian army; this stance negated the Indian claims that millitants were armed with Pakistan made AK-47 rifles. Indian army habitual of teling the lies and changing their stances again and again do not ashamed but they have no answer that why Indian army needs two to three days to tackle the two or four militnats that enter into the Indian camp or HQ. Indian army takes revenge of such questions from innocent unarmed Kashmiris, murder them, kidnap them or unprovoked firing over LoC so that International Media’s attention maybe diverted from Kashmir issue to violation of cease fire over LoC. Whatever the reason is, Indian occupying forces has no right to enter into any house without any evidence or search warrant, kidnap Kashmiris and torture them to death in torture cells, shoot unarmed protesters in the name of fake encounters. In order to hide their war crimes, Indians are killing innocent Kashmiris in fake encounters for last 7 decades. 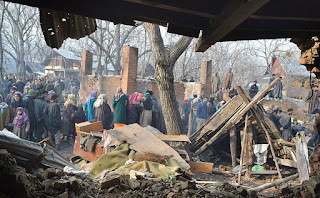 Most of the houses of Kashmiris destroyed in Shopian by Indian army in the name of search. 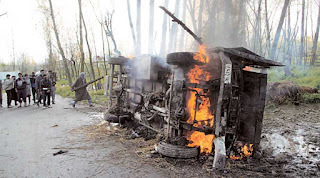 On the eve of 08 March 2018, Indian soldiers crossed all the limits of the barbarism when they stopped a car on a check post in District Shopian of Indian Occupied Kashmir (IOK) and insulted the passengers of the car. On the insult, passengers protested against Indians and Indian soldiers shot them on the spot, four died on the spot while two other persons were taken by Indians in wounded condition; after one day their dead bodies were recovered from jungle. 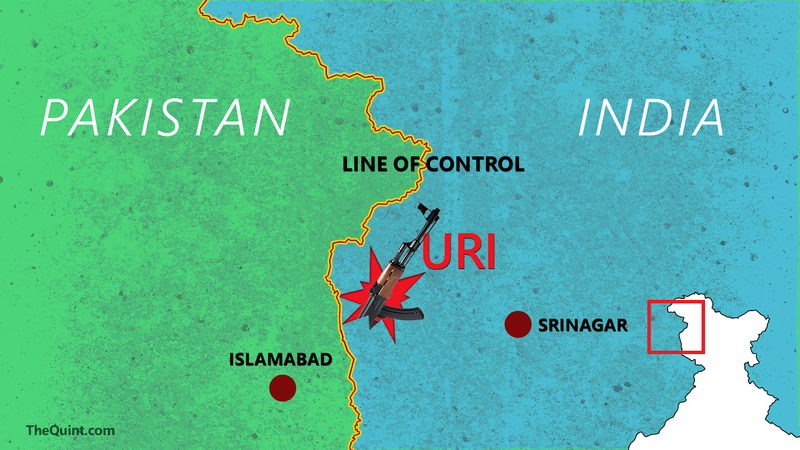 In order to hide their war crime, Indians claimed that the persons killed in encounter were militatns who attacked Indian soldiers on the check post, in the encounter four were killed while two succeeded in running away in injured condition. On the 2nd day when the dead bodies of two persons were recovered, the tension in the area increased because the condition of the dead bodies showed that they were thrown away after being murdered. But indian state terrorists are trying to suppress the protest of Kashmiris with Pellet gun and guns in spite negotiations. Despite knowing that Kashmiris to be afraid of death. 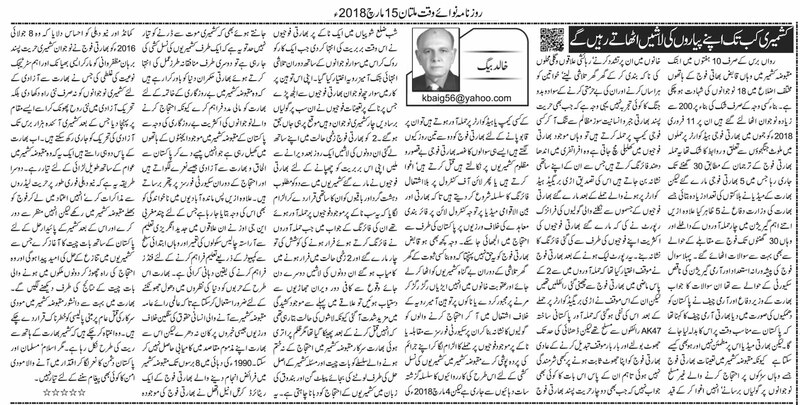 On the one hand Indians are involved in the genocide of the Kashmiris while on the other hand Indian rulers are trying to procure aid for ending unemployment in IOK, portraying that unemployed Kashmiris are involved in protests and exploited by Pakistan for anti-Indian slogans and pelting stones on Indian army by paying money. 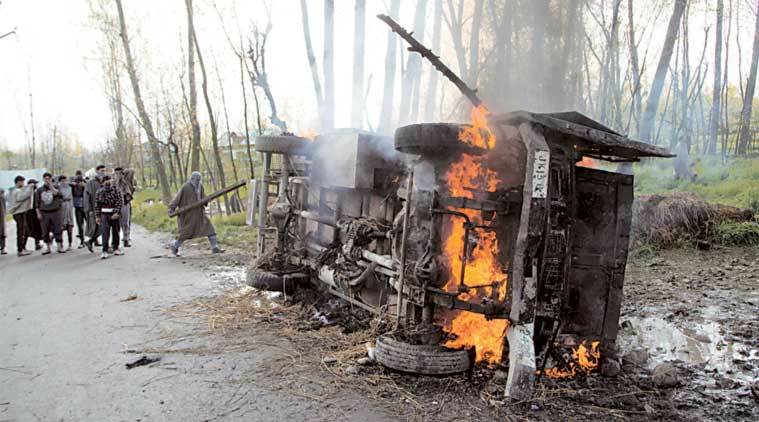 Moreover, Indians are portraying that illiteracy is the main cause of militancy in Kashmir; in this regard few Western NGOs had ensured that forty schools will be established in these areas. With such tactics India may be able to divert the attention of International community from violations of Human Rights in IOC by Indians but she cannot succeed in her nefarious designs. Indian Colonel Anil Athel who served in Kashmir for 8 years during the decade of 90s; has made this clear to New Delhi that by martyring Kashmiri Freedom Fighter Burhan Muzaffar Wani on 08 July 2016, Indian army has committed very terrific and strategic mistake. The martyrdom of Burhan Wani has opened new horizons and has blown a new soul in the Kashmiri Freedom Movement. Now Kashmiris can continue their Freedom Movement for next 1000 years.